Melbourne's outer west is the scene of the right-wing protest. An anti-Islam rally is taking place in Melbourne's outer west suburbs. An anti-Islam rally is currently underway in Melbourne's outer west, with about 200 people reportedly protesting what they claim is the rise of the religion in the region. The ABC reports that anti-immigration group The True Blue Crew organised the rally at Hannah Watts Park, about 35 kilometres west from Melbourne's CBD. "See you all down at Hannah Watts Park, Melton ... Join as one to say NO to the Islamic Ideology!" the group said on its Facebook page. Protesters at the rally are said to have waved flags, with speakers urging those present to prevent Islam growing in the area. They contend that a 75-lot development being built off Coburns Road in Melton South is a Muslim housing estate. That's denied by the local council, according to Fairfax Media. 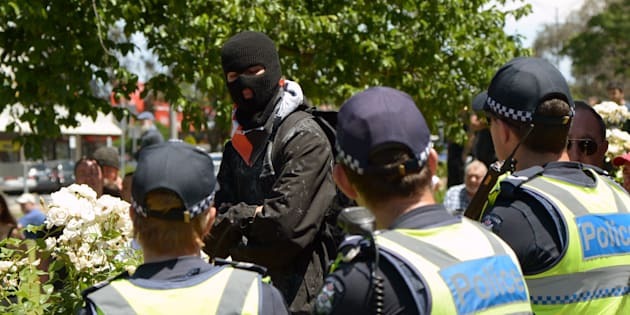 There is a heavy police presence at the rally, but a police media spokesman told The Huffington Post Australia there had been no incidents or arrests. Kim Vuga, of SBS Go Back to Where You Came From fame, is said to be guest speaker at the rally. Opposition Leader Bill Shorten labeled the protest divisive, saying it didn't at all reflect the Australian mainstream. "Australia is a diverse country and I don't believe in fermenting religious paranoia or hatred -- that's not the way this country works together," he told reporters in Melbourne. He urged the protesters to worry less about what church people went to and more about local jobs and "standing up" for Medicare. Today's rally is one of a number in Melbourne in 2016, including in Coburg and the CBD.